You deserve content that delivers a sparkling, targeted mix of information, ideas, vision and attitude to each of its readers in a unique and personal fashion. Traveler's USA Notebook (April 1996-present). Traveler's USA Notebook is a Web-based travel magazine. Our readers expect the good life —a combination of that pampered feeling and food for the mind and the senses. We like to help our readers discover what makes a community special. Cigar Aficionado (Feb. 2005- June 2007) Freelance editing. Duties included fact checking, copyediting and proofreading. 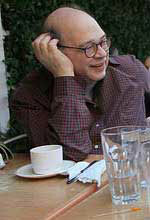 American Forum for Global Education (Jan 2002-July 2005) Editorial consultation to Andrew Smith, president of this educational think tank. Duties include preparing marketing materials such as brochures and strategy statements; and editing various in-house written pieces, including op-eds and grant applications and proposals. Magazine Retailer I was the editor of this quarterly trade publication from its birth in 1996 through its last issue (Winter 2001-2002). It told chain store execs how to make money with magazines. We launched the magazine in May 1996. We gave the magazine the look and feel of a consumer publication because of its positioning --- it was the newsstand bible. Its sharp blend of information, ideas and graphics engaged our readers and advertisers. Duties included planning, supervision of contributors, copyediting, cover development, attending conferences, and moderating panels.